That night, we had them with oven roasted chicken and mashed potatoes. This recipe is super simple, and super delicious. I have never liked Brussels Sprouts…until this recipe came along. It has changed my entire perception of the little green guys. It is something that both people who like Brussels Sprouts, and those who don’t, will agree is a keeper. Heat butter and oil in skillet over medium-high heat, until butter has melted and has combined with olive oil. Reduce your heat to medium, then toss your garlic into the pan. Sauté your garlic lightly to begin to release the flavour (do not brown!). Place sprouts flat side down and cook untouched for 10-15 minutes, or until bottoms are brown and caramelized. Before you remove the sprouts, you should test one to make sure it has cooked through. Source: We found this recipe online on Food.com. The original recipe calls for crushed garlic (instead of chopped), but we like the fuller flavour you get from chopping it up. 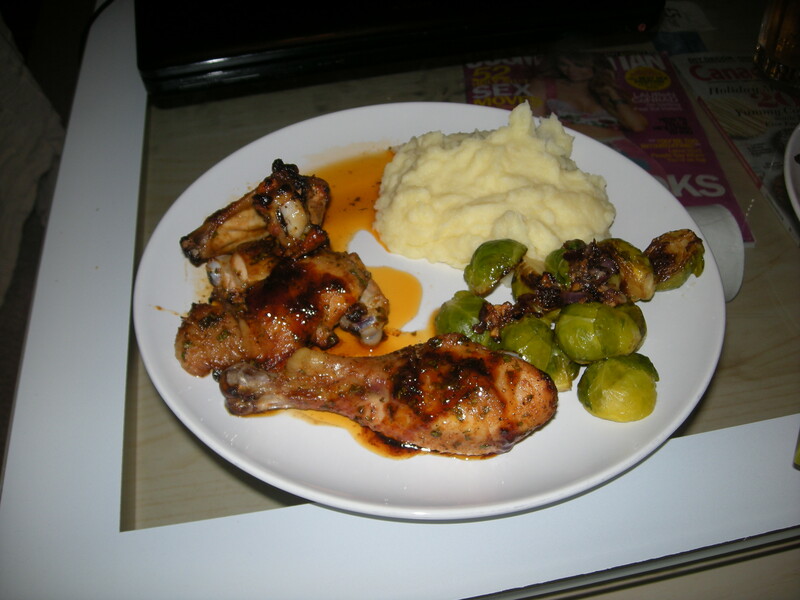 This entry was posted in Recipes and tagged Brussels Sprouts, garlic, recipe. Bookmark the permalink.